Hey Jammers! 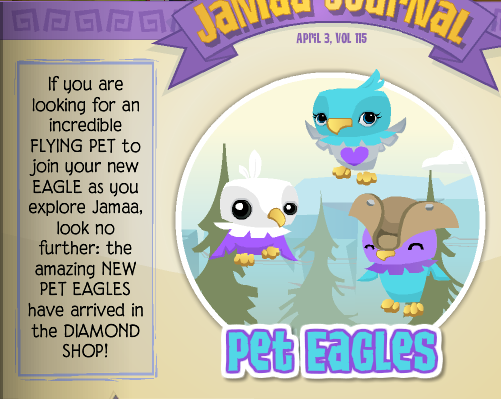 There are new pet eagles that have flown to Jamaa! It's currently avaliable at The Diamond Shop. 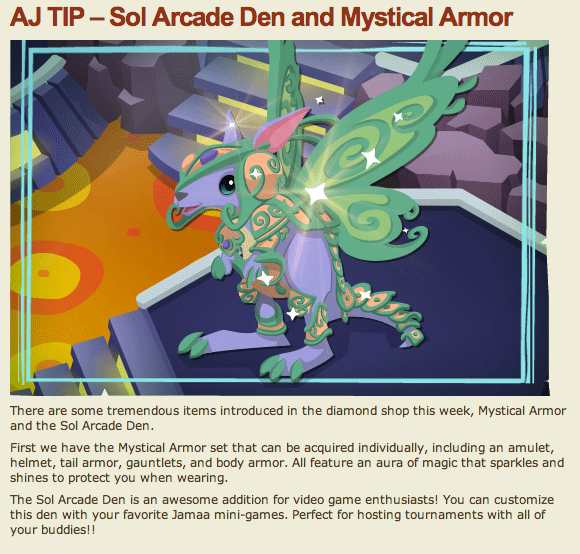 Along with that, the new armor "mystical armor" is being sold at The Diamond Shop as well. There is also a spring egg hunt and you can receive a cool prize. 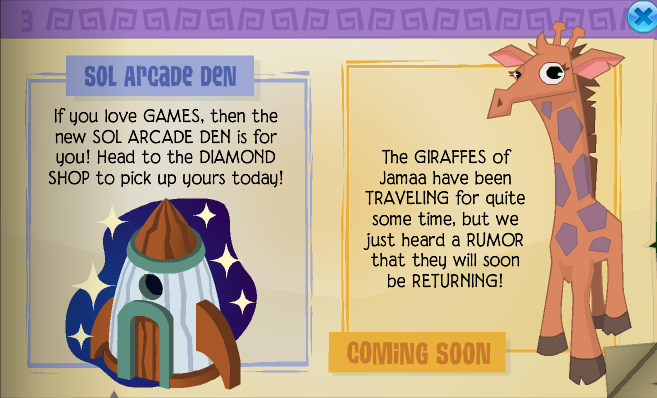 They are also selling at Sol Arcade den in the diamond shop, the giraffes are soon returning as well! 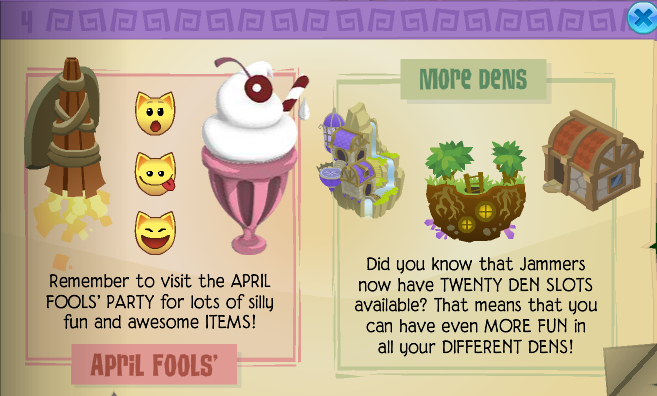 Remember to check out the April Fool's party and maybe buy things you would want to keep before they go away, members can now have twenty den slots! 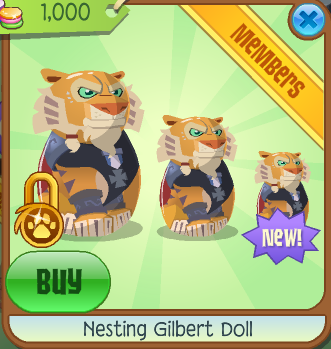 Anyways, the new den item today is located at Epic Wonders! 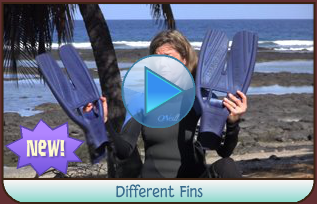 There is also a new video at the Aquarium theater. Seems like they are added these new labels for items, quite nice to see what day it goes away specifically.